Dubai: There’s a huge market waiting to be tapped for the local tourism industry, with a huge proportion of passengers arriving at Dubai’s airline terminals merely travelling in transit, the latest analysis showed. Data from Colliers International revealed that more than 63 per cent of the 89 million flyers travelling through Dubai International Airport in 2018 were in transit. That's roughly 56 million people making stopovers and not leaving the airport a year or 153,000 every day. 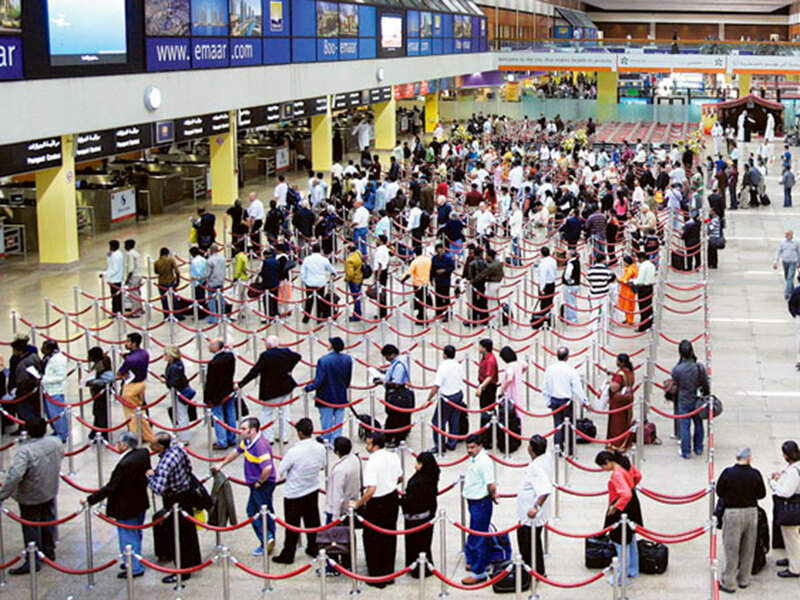 Out of the millions of travellers, only eight per cent actually left the airport to explore the emirate, a report published on Wednesday, ahead of the Arabian Travel Market (ATM), claimed. One of the biggest exhibitions in the travel and tourism industry, ATM will be taking place at Dubai World Trade Centre between April 28 and May 1, 2019. However, with the latest initiatives introduced by the emirate to stimulate growth in the tourism sector, Dubai is very well positioned to attract more tourists. The UAE cabinet approved last year a decision to exempt transit flyers from all entry fees for the first two days or 48 hours. The visa, which can be obtained at express counters across UAE airports, can be extended for up to four days for a minimal fee of dh50. “This visa is not only good for the country’s tourism sector but for the local economy as a whole, enticing passengers to view their transit not as an unwanted delay in their travels – but as a good opportunity to add value to their trip and experience everything the UAE has to offer,” said Danielle Curtis, exhibition director for Middle East, Arabian Travel Market. Airports Council International has recently named the Dubai airport as the world’s busiest hub for international travel. From January to December 2018, traffic figures at DXB reached more than 88.8 million, up 1.3 per cent from the same period in 2017. The International Air Transport Association (IATA) had earlier predicted that the Middle East could see an extra 290 million flyers on routes to, from and within the region by 2037, with the total market size increasing to 501 million passengers during the same period. Airports Council International (ACI) named Dubai International as the world’s busiest airport for international travel. From January to December 2018, passengers passing through the airport reached more than 88.8 million, up 1.3 per cent from the same period in 2017. “2018 was also an exciting year for new flight routes with GCC airlines alone adding 58 new flight routes – focusing on areas of consistent and substantial growth,” said Curtis. “With two-thirds of the world’s population within an eight-hour flight from the GCC, it is an ideal base for exploring some of the world’s most interesting and previously inaccessible corners of the world. And the GCC’s airlines are making it even easier with the continuous addition of new and direct flight routes,” Curtis added. According to research provider BNC Network, the value of aviation-related projects in the Middle East reached $50 billion as of 2018. These investments include the D30 billion allocated for developing Al Maktoum International Airport, Dh28 billion for the expansion of phase four of Dubai International Airport and Dh25 billion for the development and expansion of Abu Dhabi International Airport. Sharjah is also expanding its terminal for an investment worth Dh1.5 billion.